Individual Prerequisites -High School degree or equivalent -Minimum work experience of at least 5 asbestos inspections performed under the direct supervision of a licensed management planner, licensed asbestos inspector, or licensed asbestos consultant. -Submission of a copy of physician's statement performed within the past year. 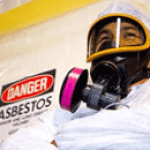 Individual Exam And Fees Texas Asbestos Licensing and Certification Examination. $25 fee. Our instructor was spot on with the materials and kept the class very informative. Great job. Our instructor was spot on with the materials and kept the class very informative. Great job. Kelly Brown was an outstanding trainer. He was very entertaining and very good at explaining the material in a way we could... Kelly Brown was an outstanding trainer. He was very entertaining and very good at explaining the material in a way we could easily understand. I would recommend taking this course from him, as he will prepare you for the practical use of the certification. 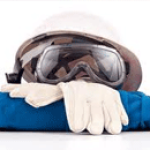 Since 1995, AEHS, Inc. has offered a full range of environmental, occupational health, safety, consulting and training services. Based in San Antonio, AEHS works with clients in both the public and private sector throughout the State of Texas including hospitals, municipalities, private industries, school districts, and military installations. 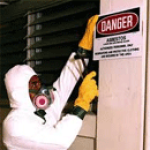 Specifically, AEHS' personnel have conducted research on the health effects of asbestos exposure, and have testified before Congressional Hearings on asbestos. Additionally, they have been the primary advisors to the Surgeon General of the Army and effected over 40 changes to the current OSHA regulation on asbestos, 29 CFR 1926.1101 Asbestos in the Construction Industry. The San Antonio Business Journal continues to list AEHS, Inc. on its list of the Largest Environmental Engineering and Testing Firms. AEHS' professional experience and expertise provides our clients with the resources necessary to complete the project successfully, within budget, and on time while reducing risk and liability.